Unsure whether to use a sitting or standing desk at work? You’re not alone – not even the experts can tell you the best way to spend your hours in the office. There needs to be a better option for sedentary Australian office workers, who are estimated to spend more than 70 per cent of their working day sitting. Diabetes, heart disease and cancer are some of the risks that rise in people with inactive lifestyles. Apple chief executive Tim Cook last year invoked doctors to declare that sitting was “the new cancer”. Of course, he was trying at the time to sell the Apple Watch – which pings you on the wrist to get active – so he has a blatant interest in calling time on planting the posterior. But prolonged standing isn’t all it’s cracked up to be, either. Depending on what you read, it can lead to a smorgasbord of ailments such as back pain, varicose veins, increased stroke risk and problems during pregnancy. Oh, and your feet can hurt, too. People are confused, says Brett Pollard, design firm Hassell’s head of knowledge and sustainability. He’s just authored a research paper looking at the issue and says movement is necessary – up to four hours a day – to prevent long-term health consequences from sitting still in the office. Even if you ride to work in your sleekest lycra, or bounce like a bunny in the gym at the start of the day, you still have to move, Pollard says. “Just going for a jog at lunch, or going to the gym before work isn’t enough to counter the impact of sitting all day,” he warns. When Lendlease moves 2000 staff into new offices at Sydney’s Barangaroo this year, it will tackle the movement challenge with facilities that promote standing, sitting and walking – even within meetings – says group head of sustainability Geoff Dutaillis. But back to the desks. Before 2008, corporate clients hardly ordered them, says furniture and design company Schiavello International. 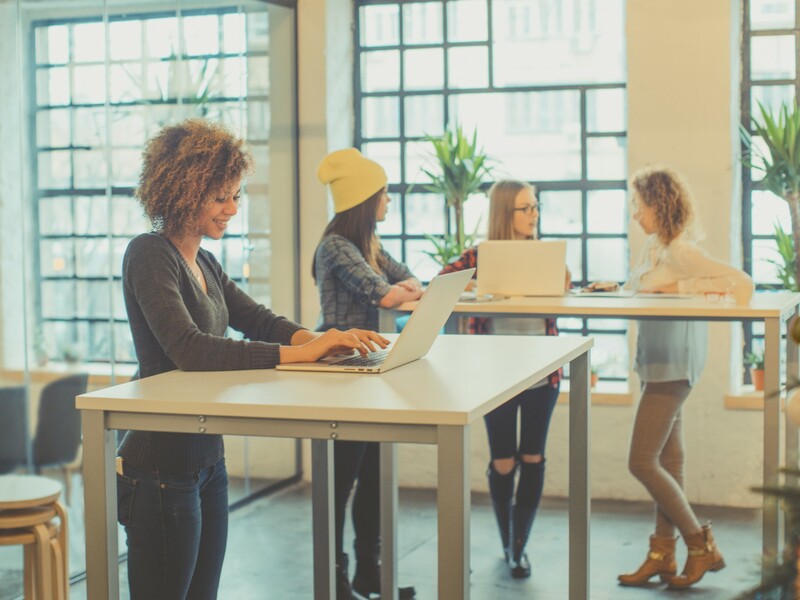 Since 2013, however, about 30 per cent of new orders are for sit-to-stand desks. Your local CAA chiropractor can assess your spinal health and provide the chiropractic care needed help you lead and maintain a healthier life. To find your closest CAA chiropractor visit Locate A Chiropractor.